Posted on Friday, October 19th, 2018 at 1:01 am. West Coast riders are likely familiar with Ornot, since they launched in San Francisco back in 2013. But to the wider world, it’s still a relative newcomer and I’ll admit that, prior to their recent European launch, I’d never heard of them. There’s a lot to like about Ornot. For starters, there was their motto: “You could be a rolling billboard, Ornot.” Intrusive branding has always been a turn off for me, so any company that promises to lose the logos has my full support. I also like the straightforward line-up. They offer a set of classy bib shorts and a few different types of jerseys. By contrast, one of the major Italian brands currently offers 19 different variations of shorts on their website. I like that Ornot are keeping things simple, and just focusing on making the best bib they can. The first time I pulled said bibs on, the pad felt a little thin. On the bike though, it was plenty comfortable and after a few months riding I now prefer its lower profile. The material used has a nice texture to it and feels a little bit compressive, and the chunky cuffs look cool and keep everything in place. At €134/$180, they’re not exactly cheap, but they feel like good value. In terms of comfort and ergonomics, they’re as good as any bibs I’ve tried, but crucially, there’s an obvious attention to detail in their construction. They feel more robust than a lot of other high-end bibs in my wardrobe, and with a good warranty and a crash replacement policy in place, you’ll get your money’s worth out of them. And aside from the blue detail on the right leg cuff, they’re neutral style-wise, so they’ll easily pair with any jersey or jacket you fancy wearing. The Work Jersey I tested feels great, too. It’s comfortable and up close there are some nice little details in the design. 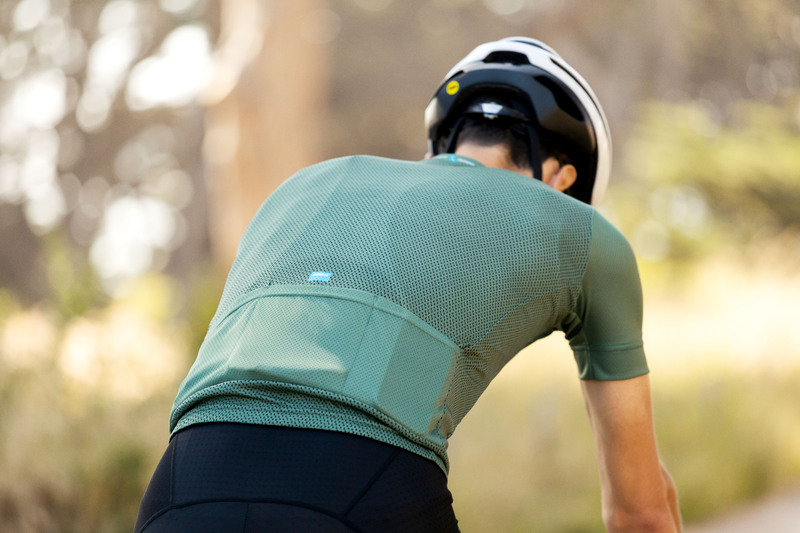 The set-in sleeves look a bit retro, which I liked, and the olive colour is an understated alternative to the usual blacks and reds we see so much of in cycling clothing. I’d normally say that white is the only acceptable colour for a cycling sock, but the matching olive numbers that came with the kit really made it pop. Good stuff all round, basically, and I’ll be keeping a close eye on what they do in future.